Celery is a crisp, refreshing vegetable with a distinct flavor. A head or bunch of celery is made up of separate stalks called ribs that are naturally crisp due to the stiffness of the plant’s cell walls and extraordinary water content within the cells. Cut celery sticks to the preferred length before serving or cooking them. Celery is a great addition to any salad, soup or stew. Craving a crunchy snack? Try celery sticks with hummus, vegetable dip or peanut butter as a simple, healthy alternative to potato chips. 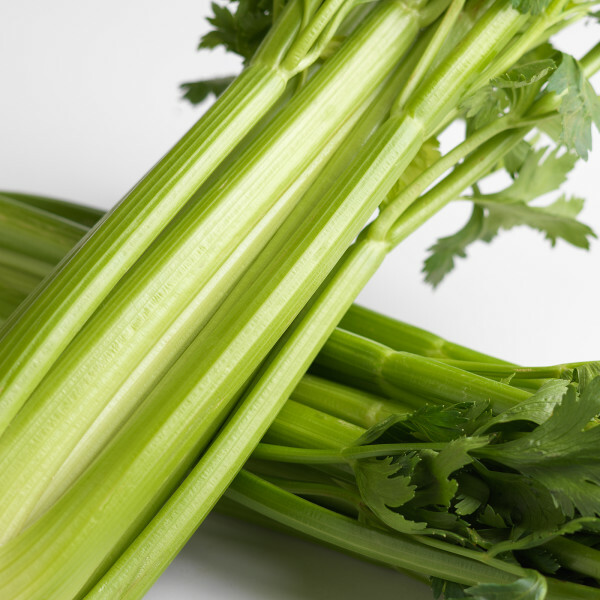 Choose celery with a light green color and smooth surface. The darker the green, the more nutrients the celery has, but it also tends to be very stringy. The leaves on the celery should be green and fresh and are a good indicator to the celery’s overall condition. Store celery in a plastic bag and keep it in the crisper section of the refrigerator. To maintain freshness, sprinkle the stalks with water occasionally, since celery becomes dry easily. Always wash fresh produce before consuming.